The colored wheel used for playing Roulette is one of the most fascinating and attractive elements of this casino game. The game is very popular in the casinos of both format i.e online and offline. The Hollywood films featuring this game has played a very important role in spreading its reach to the masses. Being a casino player, you must have wondered about the history of Roulette and the reason for this popularity. 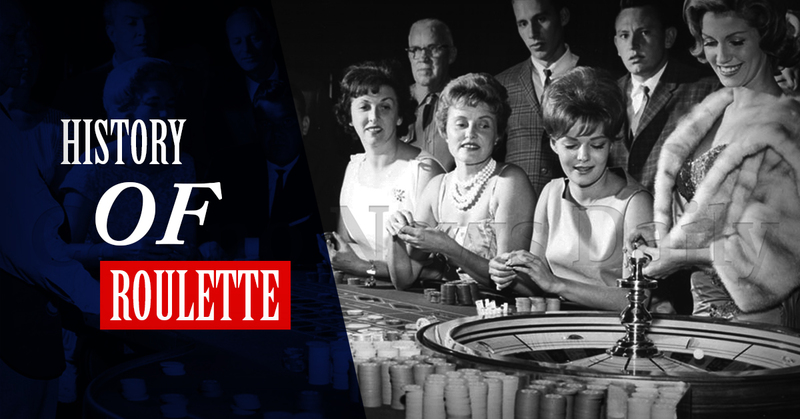 In the below article we are going to inspect the history as well as other features of Roulette. Before going ahead, you can read recommended article which will help you to predict numbers. The primary reference to Roulette can be found from the Eighteenth Century in France. It has been described in a French book by Jacques Lablee. In the French language Roulette stands for ‘Little Wheel’ and this game was first played in the capital city of France i.e. Paris. The basic structure of the game has been similar to the initial days of its birth in 18th Century. There is another reference to this casino game in the new French settlement in Quebec, expressing that ‘Roulette’ was restricted from playing in 1758. These are the only two reference from the history, so it’s almost impossible to predict the exact birth period of Roulette. Initially, the Roulette wheel had one and two zero pockets in red and black colors, and to reduce the confusion within the players it was changed to green in the mid 1800’s. In 1843, when the game reaches Germany i.e. a German spa and casino town of Bad Homburg, a French businessman removed one of the zero pockets to give players a better shot at winning, and to rival neighboring casinos of that period. Meanwhile, Roulette had made it’s appearance to the USA and two-fold zero was the most preferred here. It discriminated the modern form of Roulette into two forms and hence the name for the single zero became the synonym for the Europeanm Roulette and the twofold zero get the name of American Roulette. In the most of the casinos of US, the twofold is a common name, but, the format of the table has been changed a bit. By the time the 3 variations of Roulette were developed. And the most popular of all are American Roulette with a twofold zero on the wheel, and French and European Roulette with a single zero. Also, the American version of Roulette has a far higher house edge of 5.26% as compared to the European and French of 2.70%. Until today, European, French, and American Roulette is played all across the globe, and beside the little changes in the layout, the basics of game playing are almost similar in every casino of this planet. In the above article, we have described the 4-century long journey of the Roulette, one of the most loved casino games in both brick and mortar and the online casinos. Hope you will find this article amusing and enlightening.